Do you like the Beach? Who doesn’t! Step into this unique split level condo that is two blocks from Sunset Beach. In addition to having an upgraded kitchen with freshly painted cabinets, new floors, modern appliances and under counter lighting, this trendy home has a renovated bathroom. The layout flows like a little house with great separation between the bedrooms and the living space which is truly hard to find in 800sqft. For those cold Vancouver nights cozy up around the wood-burning fireplace. 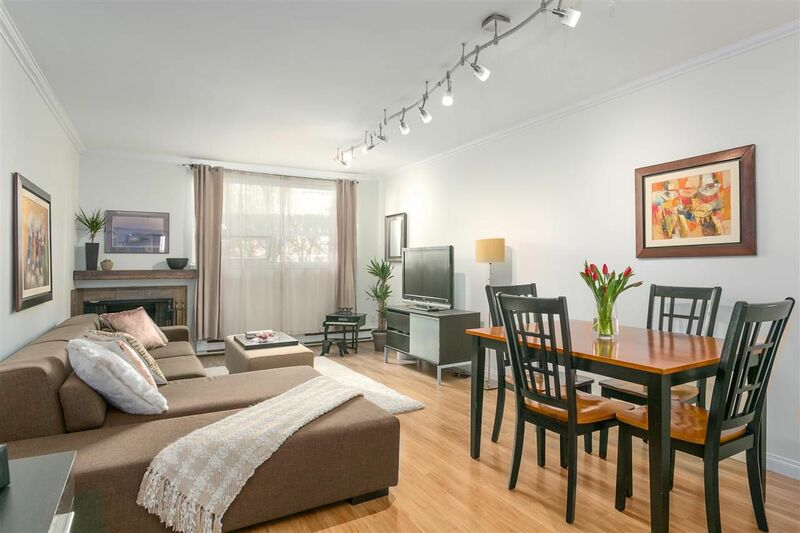 Enjoy this prime location that is close to the beach, the Stanley Park seawall and the shops on Denman. Buy with confidence as this building was rainscreened in 2006. Laundry hook-ups in-suite (no washer installed), secure parking, huge locker and more! Your new lifestyle awaits!